As a contributor to this blog, there is no greater joy than introducing authors and books to our readers. When we started this What Women Write journey, I never thought I’d be lucky enough to correspond with some of my favorite authors--prolific authors who have been most generous with their valuable time. 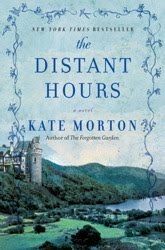 Kate Morton is hardly someone who needs my introduction, nevertheless, I am thrilled and honored to be able to share her words with you. If you haven’t read her books, they are wondrous forays into family secrets, tragedy, and lost love, all delicately crafted stories connecting present and past. You'll want to add them to your bookshelf. Stowed inside my copy of The Distant Hours is a handwritten notecard from Ms. Morton, a nice treat I'll reread when next I take it off the shelf. A long lost letter arrives in the post and Edie Burchill finds herself on a journey to Milderhurst Castle, a great but moldering old house, where the Blythe spinsters live and where her mother was billeted 50 years before as a 13 year old child during WW II. The elder Blythe sisters are twins and have spent most of their lives looking after the third and youngest sister, Juniper, who hasn't been the same since her fiance jilted her in 1941. Inside the decaying castle, Edie begins to unravel her mother's past. But there are other secrets hidden in the stones of Milderhurst, and Edie is about to learn more than she expected. The truth of what happened in 'the distant hours' of the past has been waiting a long time for someone to find it. WWW: In The Distant Hours, you have created an atmospheric novel rich with details, yet the setting never bogs down the narrative. As readers, we are dangerously close to your characters – in Milderhurst castle, stumbling over worn carpet and cobwebs, on the grounds of the castle, teetering by the filled-in moat, or sipping tea in the dining room at the Birds’ farmhouse. What are your thoughts on weaving setting into narrative? KM: Weaving setting into narrative is one of the great joys of writing for me. Unless the world of the story feels real, and the black marks on the white page disappear completely when I’m writing, I lose faith in the story. (I’m sure it must be that way for readers, too?) Before I start a book I spend ages imagining the setting and characters into being. I read everything I can get my hands on: look at pictures; watch films; listen to music; speak with people; surf the internet; make actual visits wherever possible; scribble questions to myself, draw arrows between them, try and uncover answers. I need to feel as if the story taking shape inside my head is a true one and I have simply been charged with recording it. Once I reach that point, it’s as if a wave sweeps me away and I’m compelled to begin writing. My favourite novels to read are those with a rich sense of place: they’re the ones that stick in my head for a long time after I’ve turned the last page; the sort that give me a strong and definite ‘feeling’ when I think back to their stories; a deep longing to go back, to be reabsorbed into their world. I think sense of place is about more than setting, though; it’s a happy blending together of setting, characters, plot, atmosphere and language, so that the whole is a rich and textured world without holes. A story one can live within. WWW: Readers who are also writers can learn so much about plot from reading your books. I have dissected and studied your first two novels and plan on doing the same with The Distant Hours. I am continually awed by the intricate way you weave your stories, how every character, major or minor, is not only distinctly drawn, but also serves an important role. How do you do that? KM: Well, thank you. I take great pleasure from devising structures for my novels (which isn’t to say they don’t tie my head in knots at times; like trying to assemble a great big jigsaw puzzle minus the solution picture!). One of my obsessions, as a writer and as a person, is the layering of time: the way the past never really goes away, coming back instead to haunt the present. Along with the plot and the words themselves, structure is a terrific way to explore this theme further. In The House at Riverton, for instance, the past and present storylines start out as clear and distinct strands: Grace is telling a story and we, the present-day readers, are listening to it. As Grace’s health deteriorates, however, and she becomes less aware of the barriers between now and then, the structure shifts so that the two storylines begin to merge—Grace’s memories jump into present tense, the individual segments are shorter, and the scene breaks and transitions become increasingly subtle. For The Forgotten Garden I envisaged a plait of the kind women wear in their hair; three story strands weaving together to form a single narrative in the same way family generations are inextricably tied. Initially, I planned to adhere to a strict tripartite structure—each chapter divided into three parts, each part containing a point of view scene of one of the three main characters—but I found that I was adding scenes to serve the structure rather than the story itself. I resisted loosening the tight formal shape for a long time, but as soon as I let it go the story felt freer and I was able to follow the characters rather than forcing them to fit my preconceived structural ideas. WWW: Thanks for that--you've just confirmed my fears about my WIP, and now I will reevaluate the structure. You mentioned that early in your writing of The Distant Hours, the sisters Blythe took over. How much preplanning do you do (I’m thinking lots!) and were you able to keep some of your original work? Often the novel I’m working on has origins that reach back years. I keep copious notebooks and record all sorts of random ideas and thoughts in them: I take notes even when I’m reading for pleasure; I draw big boxes around anything strong enough to maybe-possibly-one-day develop into a plot; I jot down interesting characteristics of real people ‘just in case’. When I’m seriously looking for a new idea though, this process intensifies and my head becomes a crazy, busy place: hundreds of different ideas—settings, characters, plots, emotions, atmospheres, structures—buzzing around, trying to connect with one another. They can be very exhausting. WWW: It sounds exhausting, but I'm selfishly thrilled you have so much more to write. Although the novel focused on Juniper, to me, Percy was the most complicated and mysterious of the sisters. Which sister did you most enjoy writing? KM: Percy was my favourite! (But I’m always loathe to tell that to people who haven’t yet read the book in case it directs their reading of the story.) I loved writing her; I’m so glad you found her complicated and mysterious. WWW: Something you mentioned in an Australian publication struck me, that is, you prefer to write for one person whose tastes are exactly like yours, instead of imagining millions of readers, which would be 'creatively crippling.' Yet millions read your books. Are you still able to keep your focus on one reader? KM: It can be difficult, but for me it’s essential. I suspect I’m a hedonist at heart – unless I’m intoxicated by my imaginary world, I can’t seem to conjure the necessary enthusiasm to keep going. Besides, it’s impossible to please everybody and I believe trying to do so must compromise the story in some way; each novel involves so many tiny decisions and inspirations that it can be hair-tearing enough deciding what I think is best, let alone allowing for a million different opinions. A writer can’t control what other people think of her novel, but she can at least aim to please herself. Readers, if, like me, you are fascinated by Ms. Morton's novels and her writing process, check out her journal and FAQ section of her website. And please feel free to share this interview with all your FB and Twitter peeps. Which of her novels is your favorite? Great interview! And I find it particularly interesting (and reassuring) that sometimes loosening a grip on structure can help things flow. I'm a strict plotter and think it can be crippling sometimes. As for my favorite of Kate's books? Tough question! I loved all three but The Forgotten Garden was my favorite. I read The Forgotten Garden last year and fell in love with her writing! Have currently have The House At Riverton and The Distant Hours waiting to be devoured. Thanks so much for the interview, I really enjoyed it! I recently had the pleasure of reading both THE DISTANT HOURS and THE FORGOTTEN GARDEN and I'm now a fan for life. I love the complex story structures and unique characters, and Kate does such a fantastic job of lifting me out of my every day life and placing me firmly in her stories. I just bought THE HOUSE AT RIVERTON and can't wait to read it. Thanks for this interview! "A writer can’t control what other people think of her novel, but she can at least aim to please herself." Sometimes I second-guess nearly every scene, wondering if it's 'enough' to please others who will read it. Now, I'm going to concentrate on writing what makes me happy and, ultimately, won't others feel the same? This is a particularly amazing post for me, so thank you, Pam! Here's why. I attribute The Forgotten Garden for my current success. To make a LOOOOONG story short, I'd written two novels and agents loved my VOICE. They loved my Writing. The issue? Plot. So my grandmother was sick and I ran to Barnes and Noble and picked up the prettiest cover on the book club table to read aloud to her. I was hooked at the first SENTENCE. So I took the book home (I know, mean... right?) and I studied what rules she followed and what she broke. I read it like a textbook. And realized the truth. Write a damn compelling story that delights you and the rest of the dream will follow. Sorry for such a long response, but I've been thinking so much about her lately. WHOOPS! Thank you JOAN! Sorry Joan! Thanks to everyone for stopping by! Jenna, it is reassuring, isn't it. I've written four manuscripts and used a different approach each time. Are you inclined to change your plotting ways? 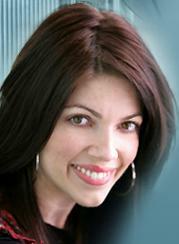 Colleen, what a great position to be in--two Kate Morton novels waiting for you! Erika, I agree. It's amazing that even though her novels are over 500 pages (except, Forgotten Garden which is just shy of it), I devour them within a few days and am crushed when I'm finished. Pamela, that's the hardest part I think, remembering we're writing because we have a story to tell--one that has inspired us enough to spend months and months getting it right. Kate and Joan- Great interview. 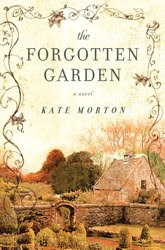 I read The Forgotten Garden last September on a flight to Accra, Ghana, at your (Joan's) suggestion. When I returned from my trip, I tossed my entire manuscript (three sections from three timelines) into the air and 'spliced' it together, interwoven much like Kate's plait that became The Forgotten Garden. I love it that you share this part of creating TFG. It was a huge leap for me to do this, but I think it was the right decision. Thanks for sharing your process! Susan--isn't it reassuring to know even Kate Morton slices and dices! My WIP came together after I outlined her novels. A friend of mine in Britain who knew I had just finished, and loved, this book, discovered this interview on a tweet... and sent it over to me. I am so happy she did, for I enjoyed it very much. Pamela Terry and Edward--thanks so much for stopping by. I'm so glad you enjoyed the interview. I'm curious who tweeted about us! Great interview! It's nice to know what the writers themselves think about their characters. And Pamela thanks for pointing out (in agreement with Kate Morton) how a writer must please herself. A good thing to remember if after a critique session one feels befuddled by the conflicting views from others as to where one’s story should go. I also agree with those who said THE HOUSE AT RIVERTON was their favorite. Thank you, Joan, for a great interview. When is your next book going to be available? Jane Eyre Dallas screening passes giveaway! Help! My Novel Needs Liposuction!